Entertainment industry is one of the best industries for revenue making with almost 180 billion turnovers happening a year as per 2014 statistics report. If anyone wants to start online business in this industry, then this is the best option as you can start online ticket selling with anyone like movie tickets and events tickets. We have the ready-made solution for this business. Our event booking script is ready to install, has more added advantages along with Multi-Currency support, Multi-City options and Multiple Payment gateway supported. User interface will be designed with attractive visuals and simple user navigation for ease of access in all pages. We are in this industry for the past 14 years, so our Business Development Team has carefully architected this Event Booking Script. This script is capable for selling unlimited tickets. You can get more credits when you buy this Event booking script that is within 24 hours, your website will be live after the payment done. Our support team is here to avoid your headaches; our 40 member developer team will support you for the next 1 year without any hesitation. 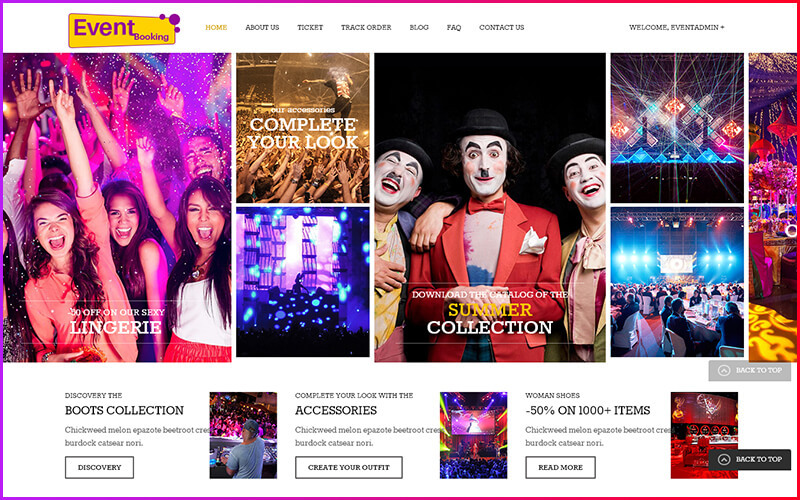 This system is developed based on impression like TicketNew and BookMyShow. Our PHP readymade event booking script have some in-built security options to protect the website from attackers and our ticket booking script URLs are SEO-friendly and we provide the full source code so you can change as what you need. Source code is easy to customize. Our team is also ready to customize for corporate companies. Our user oriented admin panel is easy to handle as it holds more information like orders sales reports, commission’s reports all are served in neat format. We know that getting your website to the patients and doctors is necessary which is why we have made our script to be SEO-friendly by optimizing it in accordance Google standards. Thank you so much for this very well designed script. I love to work with it. It’s easy to use, well documented and flexible to use and the support was prompt and excellent. This script was so simple to use. I am happy to say that the Event booking script was extremely well designed and I have managed to pick it up without having to refer to a single help manual because they are providing well documentation steps. It’s STUNNING!! In few months before only I bought this script. Their service was amazing because I paid the amount in one time I got my script in same day but script coding was very neat and cleans no bugs to found. I’m happy with their both script and the service was received from us.